Enjoy our streamlined, payroll-integrated timekeeping solutions. Our time and attendance solutions simplify the complicated! Offering dependable time and attendance solutions around the clock. We'll help you keep track of every second. Time is money, and your business can easily save both with our automated timekeeping solutions. 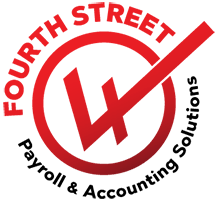 We can help you reduce your cost of labor by eliminating errors and discrepancies, as well as preventing "buddy punching" or other forms of time theft. Automating your timekeeping system allows your business to decrease labor cost, administrative time, and compliance risk while keeping productivity high.  We offer timekeeping solutions that are both flexible and streamlined, providing multiple timekeeping platforms that automatically sync with our payroll platform. 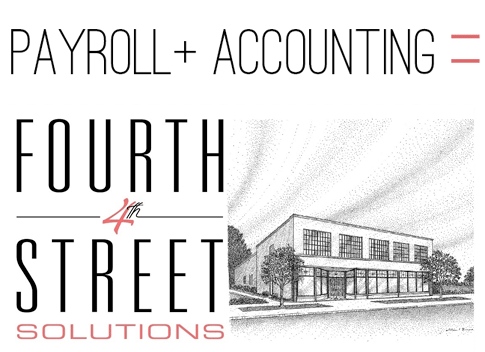 Invest in automated timekeeping and TimeClock software in Evansville with Fourth Street Accounting Solutions, and we'll save you time, money, and stress! Our adaptable system is compatible with a variety of time clocks. Whether you need a simple web clock, one of our many wall-mounted time clocks, or our mobile GPS timekeeping app, we have the solutions you need to be successful with your company's timekeeping. Don't hesitate to contact us if you are interested in a list of specifications. If you don't need a physical, on-site TimeClock, we offer a web-based automated timekeeping solution that's ideal for your needs! Our available WebClock allows you to clock in and out through a standard web browser. No software or hardware is required, it's that simple. This product also enables employees to check their time card and even schedule over the web. Employers can benefit from the convenience of online access, as they can edit employee time cards from any location or workstation. Flexclocks provide a robust, comprehensive timekeeping solution that offers a variety of time and attendance management technologies. They offer employers a timekeeping solution in real-time (Ethernet or WiFi-enabled) that allows users to use swipe or proximity badges, as well as a fingerprint reader to simplify the data collection process. The FlexClock boasts high durability, a wall mounting option, and instant feedback. The VoiceClock is a timekeeping solution that allows users to turn their telephone into an advanced timekeeping device! VoiceClock provides timekeeping punch collection through the simple convenience of a phone line. It is ideal for employers who desire a combination of simplicity, flexibility, and cost-efficiency. This solution can be set up and placed on site in just minutes. TimeWorks mobile allows the user to have access to all of their online timekeeping information directly from their mobile device! TimeWorks mobile allows employees to clock in and out, view pay period, view time-off balance, view personal time card, change department/location/job, etc., and more—all from their mobile device! Users can cut down on time across their organization, as well as manage labor costs for remote employees.